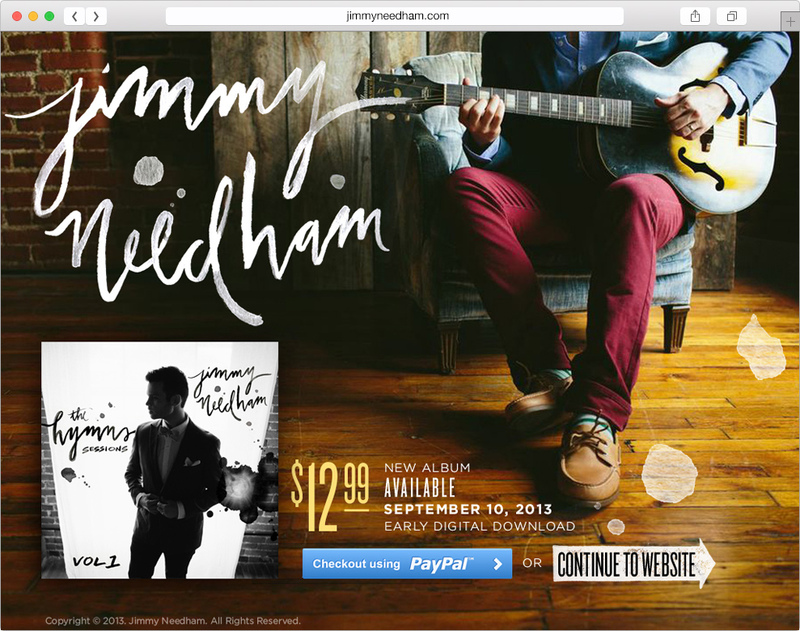 This was a splash page that I designed to Jimmy Needham’s new album. All assets (background image, album art, and logo) were provided by the client. We were able to implement it on his site so that regardless of the point of entry, the user was served this landing page once a day.